A wide range of RVs are spacious enough for you, your family, and even pets. As you bond with loved ones on the road, getting there is half the fun. There is a RV for everyone. Forget about rugged terrain blocking your path again. Mounted on a pickup bed or chassis, truck campers are an easy RV to handle and will go anywhere a truck can. Make a day of hunting and fishing beneath the open sky even better by returning to a warm bed and hot meal away from the elements. Gain access to those locations off the beaten track and take in the view beset and be jeweled with natural beauty. We offer a variety of tent campers that are lite weight and easy-to-tow. 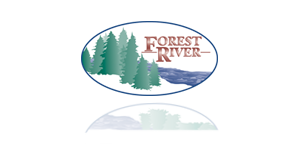 Belong to Mother Nature while enjoying the comforts of an RV. Pack up the kids and become one with nature in these lite-weight, easy-to-tow campers. Pop-up campers give you the experience of tent camping beneath an open sky with the added comforts of an RV. Do not belittle its weight as it allows for a smaller tow vehicle, providing better fuel economy and better visibility on the road. Pull it to your campsite, pop it up and enjoy a bedazzling camping experience. For the camper on the go, these trailers utilize every inch of space to give you the best camping experience possible. The raised front design allows for bi-level floorplans and a more spacious camping experience for you and your family. Live in luxury with all the conveniences of home no matter now much you have gotten off the beaten path. These two-level designs create living space beyond your imagination for you and your guests. Rest assured there’s plenty of storage so you do not have to bemoan the absence of your favorite belongings on those long hauls. Enjoy it both inside and out as you become the envy of the campgrounds. Hitch it up, set out on a journey and take in all the secrets the world has to offer. The ramp doors on the fifth wheel designs are perfect for taking your ATVs and Motorcycles with you on your next camping trip! Nothing beats coming home to a warm meal and bed after a long benumbing day of exploring. Our toy hauler fifth wheels provide plenty of room for your golf cart or motorcycle, while giving you a sense of belonging at home. With the bi-level layouts, you will not need to bewail the loss of days on the trail for extra living space again! Select your paths and bestir your senses knowing you have a place to kick back for the evening when you return. Navigate your way behind the rolling hills and streams in style. Available with gas or diesel engines, these easy-to-handle coaches allow you to get around without the need of a separate tow vehicle. You can maneuver from cab to rear without leaving the coach, keeping you dry during any storm. Besides, with the ability to tow a vehicle, it’s even easier to get around once you arrive. Pick a location and plan for a new beginning for the trip of your dreams. These units are built on specially designed chassis, allowing you to travel without the need of a tow vehicle, simply because you are worthy. No matter where you go between the sky and the horizon, travel in style with one of the roomiest, most luxurious RVs available. Class A motorhomes provide cab to rear access, tons of living and storage space, and a large front window for greater visibility while driving and sightseeing. Available with gas or diesel engines, the larger size allows you to tow a vehicle for easier travel once you arrive at your destination. 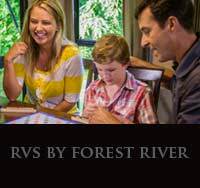 Your one stop to find the RV that is right for you and your family.